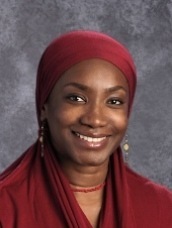 Ms. Sayyida Rahim-Sadiq has been with Al Fatih Academy since we opened in September 2000, primarily as the Pre-Kindergarten teacher. Although Ms. Sayyida, who is originally from New York City, began her studies in Fine Arts and Fashion Design, she realized that she had an interest and passion for education. This led her to volunteer and eventually work at the Laurel Learning Center, a well-known childcare facility associated with Reston Interfaith. During her time there, she received extensive training with Fairfax County’s Office for Children Early Childhood Education and The High/Scope Approach. She has also taught Preschool at ADAMS Center. Ms. Sayyida truly loves being in the Pre-Kindergarten classroom. She delights in her student’s “aha moments” and enjoys providing an environment that nurtures love of learning. In her spare time, Ms. Sayyida is pursuing her second degree, majoring in Education. She is the mother of an Al Fatih graduate.